Continuous length of plastic wrap is conveniently dispensed from a cutter box. Box features a low-profile precision metal edge. Safe and easy to use. 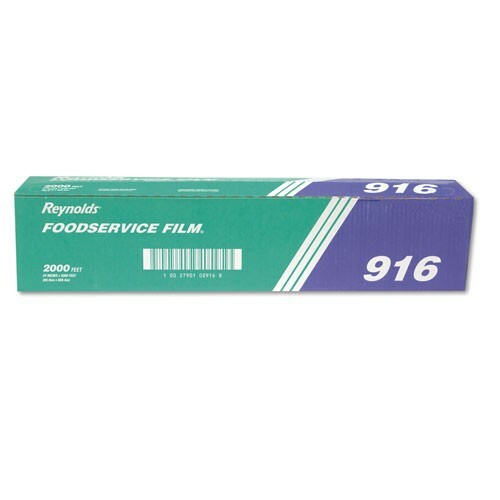 Includes one roll of PVC food wrap film in a cutter box per case.